We specialised in dispute resolution, intellectual property, Internet, and e-commerce. ADNDRC was jointly established by the China International Economic and Trade Arbitration Commission (CIETAC) and the Hong Kong International Arbitration Centre (HKIAC) in 2002. It was established as a charitable institution in Hong Kong and remains today the same status. Since the inception of ADNDRC, CIETAC and HKIAC have been operating respectively as the Beijing Office and Hong Kong Office of the ADNDRC, providing domain name dispute resolution services under the Internet Corporation for Assigned Names and Numbers (ICANN) Uniform Domain Name Dispute Resolution Policy (UDRP). In 2006, the Korean Internet Address Dispute Resolution Committee (KIDRC) joined the ADNDRC and started to operate as the Seoul Office. In 2009, the ADNDRC announced the opening of its Kuala Lumpur Office operated by the Asian International Arbitration centre (AIAC). Since 2018, the Kuala Lumpur Office (AIAC) operates the Secretariat of the ADNDRC. ADNDRC is also a Dispute-Resolution Service Provider approved by the OP3FT to resolve disputes concerning Frogans addresses. The dispute policy for Frogans Addresses (UDRP-F) is based on the UDRP. 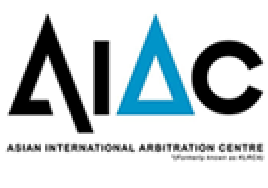 The Asian International Arbitration centre (AIAC) is a non-profit non-governmental international arbitral institution which was established in 1978 under the auspices of the Asian-African Legal Consultative Organisation (AALCO). The Korea Internet Address Dispute Resolution Committee (KIDRC) was established in accordance with the Article 16 of the Act on Internet Address Resources (enacted on January 20, 2004), with the aim to prevent Cyber-squatting in Internet Address and use of Internet Address in bad faith. CIETAC is the leading international commercial arbitration institution in China, with its headquarters in Beijing. It was originally established in April 1956 within the China Council for the Promotion of International Trade. HKIAC is an independent non-profit organization established in 1985 to assist disputing parties to solve disputes by arbitration and by other means of alternate dispute resolution. ADNDRC is governed by a Council composed of leading professionals who are specialised in dispute resolution, intellectual property, Internet, and e-commerce. Under the ADNDRC Council, there are two committees, namely, the Panel Selection Committee and Business Development and Promotion Committee. The ADNDRC Secretariat is responsible for the administration of ADNDRC, which includes providing support to the Council and its sub-committees and liaising with the relevant organisations and other stakeholders. The Secretariat is headed by the Secretary-General who will report to the Chairman and the Council. The current Chairman of the ADNDRC is Datuk Prof. Sundra Rajoo, Director of the AIAC.